Companies delivering the government’s Work Programme appear to have ignored rules that protect disabled people from serious harm, forcing the Department for Work and Pensions (DWP) to publish new guidance on its benefit sanctions regime. DWP has accused providers of an “inconsistent approach” to ensuring the safety of “vulnerable” people who breach strict rules while claiming the out-of-work disability benefit, employment and support allowance (ESA). In a new memo, civil servants say they have had to publish a new chapter of DWP’s guidance for Work Programme providers. They warn providers that they are not allowed to refer “vulnerable” claimants to be sanctioned – have their benefits temporarily stopped – unless they have explained “face to face” what they were being asked to do, and the “possible consequences” of not carrying out that activity, which could be applying for a particular job or attending an appointment or a workshop. The new “chapter 4b” on “safeguarding and vulnerability” defines vulnerable ESA claimants as those who have “mental health conditions or learning disabilities or conditions affecting communication/cognition”. Its publication comes in the wake of a string of freedom of information requests from Disability News Service (DNS) and other campaigners, aimed at uncovering the truth about 49 secret reviews the department has carried out into benefit-related deaths. DWP has admitted that of the 49 internal “peer reviews”, 40 related to suicides or suspected suicides, and 10 of those who died had had their benefits sanctioned at some point. Ministers say that only one per cent of ESA claimants are sanctioned, while most but not all of the reviews involved ESA claimants, which suggests that ESA claimants who are sanctioned are far more likely to suffer a death linked to their claim than those who have not been sanctioned. But DWP has refused to publish any of the reviews, their summaries, conclusions or recommendations, even with personal details removed. The new guidance could be a sign that one or more of the reviews concluded that a death was at least partly caused by a failure of a Work Programme provider to carry out a face-to-face meeting with a vulnerable ESA claimant before recommending them to be sanctioned. 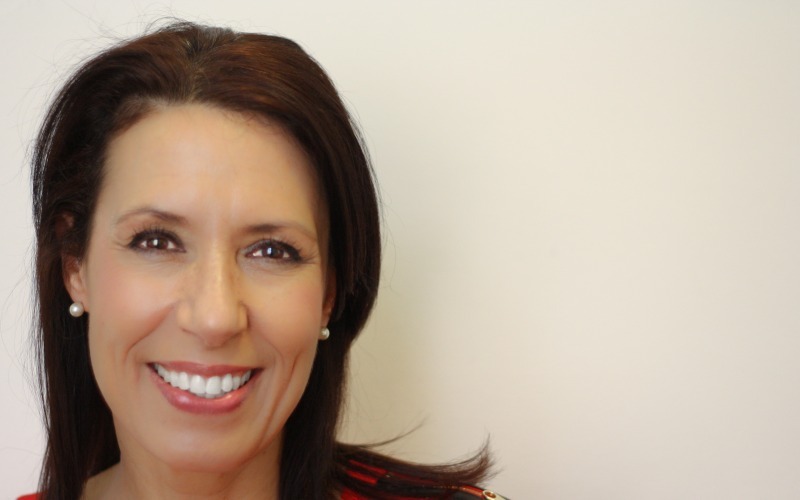 Debbie Abrahams (pictured), the Labour MP for Oldham East and Saddleworth and a member of the work and pensions select committee that investigated the sanctions regime in the last parliament, said the government appeared to be “taking baby steps towards tackling an issue that the evidence suggests is costing lives”. Abrahams has led calls for the government to hold a full, independent inquiry into the use of inappropriate sanctions. She said: “Nobody would expect personal details to be revealed, but it’s not unreasonable to expect that our government, the one that David Cameron once promised would be the most transparent ever, should share the findings of their own investigations. John McArdle, a co-founder of Black Triangle, said people were “falling through the net” because the system was “unsafe”. He said: “We are talking about referring people for sanctions, which means that their money will be cut off and they will face hunger and starvation and perhaps destitution. A spokeswoman for the Employment Related Services Association (ERSA), which represents the welfare-to-work industry, said: “ERSA believes that sanctions should be used as a last resort and that employment support works best when there is a positive relationship between advisers and jobseekers. “We have previously called for better guidance from DWP on the definition of ‘vulnerability’, to ensure that such jobseekers are not penalised unfairly. But when asked if ERSA members had been failing to carry out the necessary face-to-face meetings before recommending vulnerable ESA claimants for sanctions, she said ERSA did “not have any more information on this, other than what is in the memo”. Her brother, who had diabetes, died from an acute lack of insulin. His electricity had been cut off, so the fridge where he kept his insulin was not working. An autopsy found his stomach was empty at the time of his death. He had just £3.44 in his bank account and there was almost no food left in the flat. Thompson said her brother would not have come under the DWP’s category of “vulnerable”. She said: “My worry is that the onus is still on medically-unqualified DWP staff making judgements, in secret and with no-one overseeing their decisions, about an individual’s ability to cope with no income. “We already know that staff have been trained to avoid telling anyone being sanctioned that they are entitled to a hardship payment and we shouldn’t forget that those payments take two weeks before they start. “A hardship payment wouldn’t have helped my brother, as he was dead before it could have started. There are also embarrassing question-marks over some of the content of the new guidance, after DNS established that two of four helplines that the document recommends for assisting vulnerable claimants are no longer operating. One of the four has changed its number, but Voice UK – a charity set up to support people with learning difficulties who have survived crime and abuse – no longer exists, partly due to a lack of government funding. Meanwhile, further information about the 49 deaths has emerged in another freedom of information response from DWP. Civil servants told journalist Natalie Leal that, of the 36 cases in which information was clear, 22 were claiming ESA at the time of their death, eight were claiming jobseeker’s allowance, one was claiming pension credit and five were not claiming benefits. In the remaining 13 cases, it is not clear from the peer reviews what benefits the people were claiming at the time they died.